Notice this BUY alert from the Truly Rich Club below. I received this recommendation just this morning. This is the kind of update that you will get once you get inside this private mentoring club of Bo Sanchez. 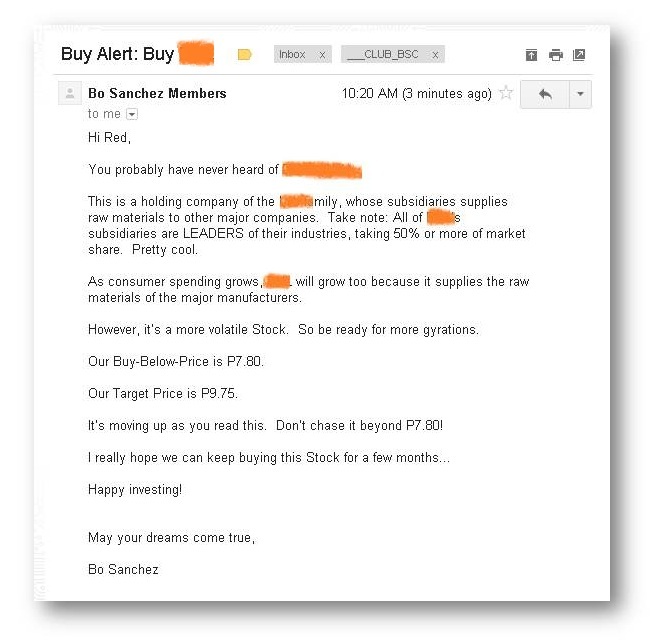 As mentioned on my last entry on this blog review, aside from the regular stocks update in pdf version that is being delivered to all members, there are also an email alerts for your stock investing strategy: BUY alert, HOLD alert and SELL alert . Following Buy, Hold and Sell alert... 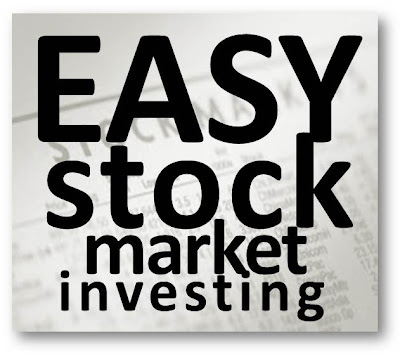 These are all very important on doing SAM or Strategic Averaging Method. 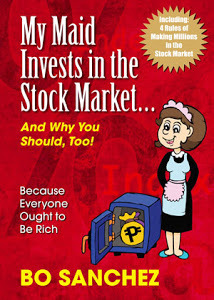 SAM is not the usual Peso Cost Averaging. You will learn this strategy more once you join the Truly Rich Club. You can try TRC in 30 days if you want to quit there's a money back guarantee. Yes, Bro Bo Sanchez will return your payment just in case you don't want the system and if you discovered that the club in not for you. 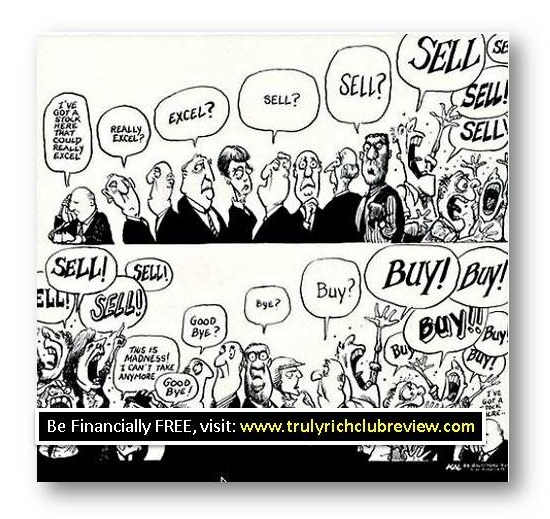 Truly Rich Club members are investing not just for the sake of investing but investing using the right strategy. Following SAM has a huge advantage compare on just following Peso Cost Averaging. Check below BUY alert from TRC. As you will notice, Buy-Below-Price and Target-Price are stated already on this update. [The author indented to cover the important details of this BUY ALERT email, you can join the Truly Rich Club to avail that benefits. You probably have never heard of X & Y (XYZ). This is a holding company of the ____ family, whose subsidiaries suppliesraw materials to other major companies. Take note: All of XYZ’ssubsidiaries are LEADERS of their industries, taking 50% or more of marketshare. Pretty cool. As consumer spending grows, XYZ will grow too because it supplies the rawmaterials of the major manufacturers. However, it’s a more volatile Stock. So be ready for more gyrations. Our Target Price is P9.75. It’s moving up as you read this. Don’t chase it beyond P7.80! 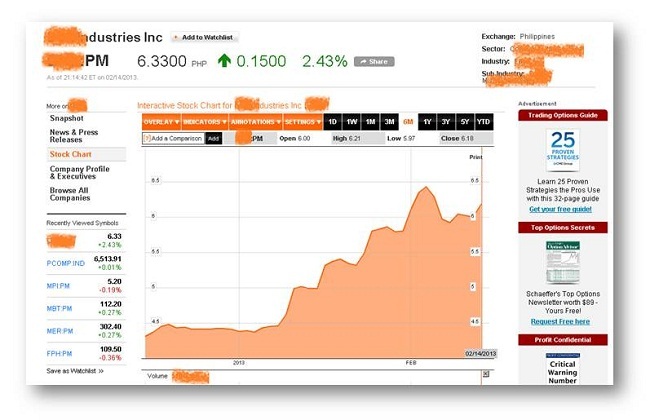 After receiving this BUY ALERT from Bo Sanchez, I checked the stock chart of this particular company and found out that this is performing well for the past 6 months. Hmmm... Let's see what will happen for the next few months. I want to emphasize that the Truly Rich Club is not just about Stock Investing. Once you join you will also get enough information and knowledge about Personal Change, Right Financial Mindset, Wealth Strategies, etc.